Deep Debt. It'll take a fortune to reopen D.C.'s most famous hotel. WASHINGTON -- So much for D.C. being recession-proof(ish). If the Watergate Hotel can't sell, the economy must be hitting the capital region hard, too. 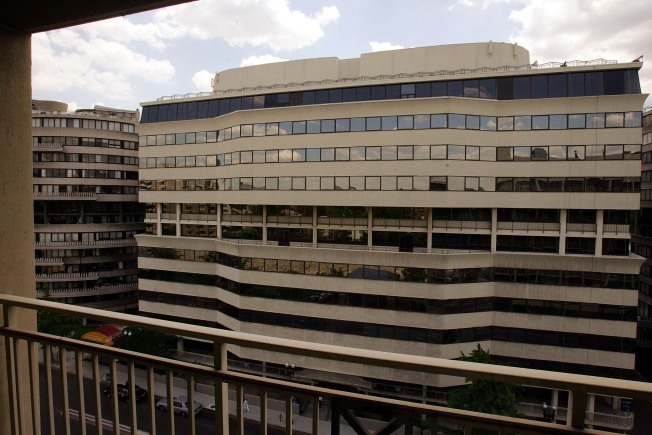 The Watergate, part of the complex made famous by a presidential scandal, failed to attract any bids at auction Tuesday and was taken back by the lender that holds the $40 million note on it, The Associated Press reported. Bidding opened at $25 million and there were no takers, so PB Capital Corp. took the property back. The 30-day foreclosure notice, sent to hotel owner Monument Realty, expired Thursday. More intimidating then that price tag is the reported $100 million in renovations necessary to make the place habitable. About 10 bidders had registered for the auction and each gave a $1 million deposit, said Paul Cooper, vice president of the auction house, Alex Cooper Auctioneers. The Watergate complex was made famous by the 1972 burglary that led to President Richard Nixon's resignation. D.C. loves scandal -- thank you, God, for delivering Marion Barry to us -- so it's a shame no one has stepped in to rescue the home of the original and still best "gate" controversy. The hotel's some 251 rooms have been empty since 2007 as its owners struggled to pay off heavy bank loans that left the property in foreclosure.